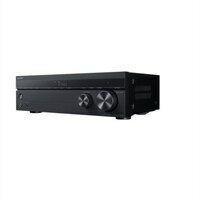 Sony STR-DH790 - AV receiver - HDR - 7.2 channel - 7 x - blackGive your home entertainment system a cinematic upgrade with the STR-DH790 7.2ch AV receiver. Experience the same all-encompassing surround sound you get in movie theaters at home with Dolby Atmos and DTS:X support. Plus, superior picture quality to match with 4K HDR pass-through.